Plant-based nanoparticles successfully treat inflammatory bowel disease in animal model. There is a clinical need for new, more effective treatments for chronic and debilitating inflammatory bowel disease (IBD), including Crohn’s disease and ulcerative colitis. Now, a study from researchers at the VA and the Georgia State University characterizes a specific population of nanoparticles derived from edible ginger (GDNPs 2) and demonstrates their efficient colon targeting following oral administration. The team state that their ginger nanoparticles, or GDNPs 2, reduced acute colitis, prevented chronic colitis and prevented colitis-associated cancer. The study is published in the journal Biomaterials. Previous studies show that the key constituents found naturally in ginger, such as 6-gingerol and 6-shogaol, are active against oxidation, inflammation, and cancer. They make standard ginger an effective remedy for nausea and other digestion problems. Traditional cultures have used ginger medicinally for centuries, and health food stores carry ginger-based supplements, such as chews, or the herb mixed with honey in a syrup, as digestive aids. Earlier studies from the team and others have explored how to deliver conventional drugs via nanotechnology to treat IBD. The approach may allow low doses of drugs to be delivered only where they are needed, inflamed tissue in the colon, and thus avoid unwanted systemic effects. The current study shows that the GDNPs 2 efficiently targeted the colon and were absorbed mainly by cells in the lining of the intestines, where IBD inflammation occurs. The current study develops ginger-based nanoparticles, each of which is about 230 nanometers in diameter. The group state that when fed to lab mice, the nanoparticles appeared to be nontoxic and possess significant therapeutic effects. Results show that the GDNPs 2 enhanced intestinal repair, boosting the survival and proliferation of the cells that make up the lining of the colon. Data findings show that the GDNPs 2 also lowered the production of proteins that promote inflammation, and raised the levels of proteins that fight inflammation. The researchers explain that part of the therapeutic effect comes from the high levels of fatty molecules, or lipids, in the GDNPs 2, a result of the natural lipids in the ginger plant. They go on to add that one of the lipids is phosphatidic acid, an important building block of cell membranes; the nanoparticles also retained 6-gingerol and 6-shogaol. 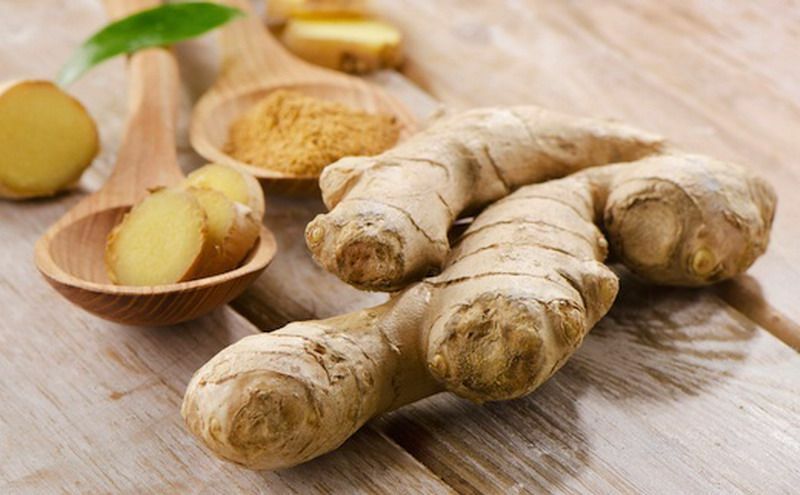 The team surmise that their findings show nanoparticles derived from edible ginger, represent a novel, natural delivery mechanism for improving IBD prevention and treatment. They go on to add that these nanoparticles also have the added benefit of overcoming limitations such as potential toxicity and limited production scale that are common with synthetic nanoparticles. For the future, the researchers state that they are now looking at ginger, and other plants, as potential nanofactories for the fabrication of bio-medical nanoparticles.